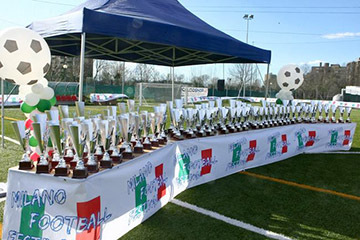 Milano football festival is one of the most important events in Italian youth football. This event at Easter 2018 will attract thousands to Milan the city known for fashion, culture and artistic attractions. The aim of the 19th Milano Youth Cup is to give all players and coaches an unforgettable football and cultural experience but above all to have FUN!!! All matches will take place on natural or artificial football fields. Milan City Council, CONI, UEFA and FIFA support the event.